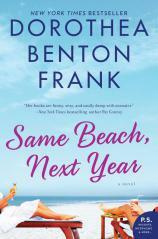 New York Times bestselling author Dorothea Benton Frank returns to her magical Lowcountry of South Carolina in this bewitching story of marriage, love, family and friendship that is infused with her warm and engaging earthy humor and generous heart. One enchanted summer, two couples begin a friendship that will last more than 20 years and transform their lives. A chance meeting on the Isle of Palms, one of Charleston’s most stunning barrier islands, brings former sweethearts Adam Stanley and Eve Landers together again. Their respective spouses, Eliza and Carl, fight sparks of jealousy flaring from their imagined rekindling of old flames. As Adam and Eve get caught up on their lives, their partners strike up a deep friendship --- and flirt with an unexpected attraction --- of their own. Year after year, Adam, Eliza, Eve and Carl eagerly await their reunion at Wild Dunes, a condominium complex at the island’s tip end, where they grow closer with each passing day, building a friendship that will withstand financial catastrophe, family tragedy and devastating heartbreak. The devotion and love they share will help them weather the vagaries of time and enrich their lives as circumstances change, their children grow up and leave home, and their twilight years approach. 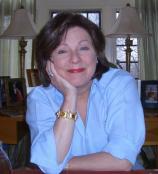 Bursting with the intoxicating richness of Dorothea Benton Frank’s beloved Lowcountry --- the sultry sunshine, cool ocean breezes, icy cocktails and starry velvet skies --- SAME BEACH, NEXT YEAR is a dazzling celebration of the infrangible power of friendship, the enduring promise of summer and the indelible bonds of love.